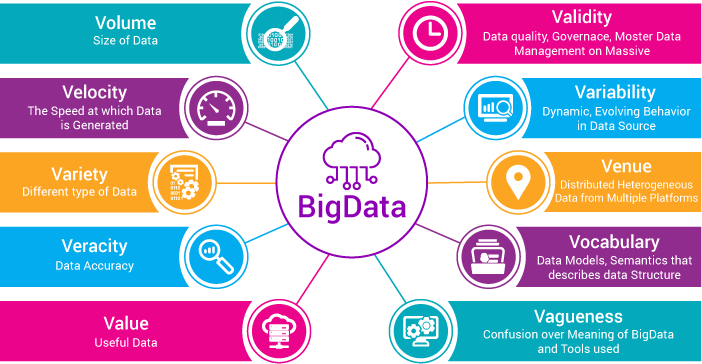 Big Data – the phenomena that cycles the technology world and we require access to it instantly from anywhere in the world, and the ability to integrate it the best we can with anything that can be plugged in. As managers of that data, we have to obtain a secure, reliable, and safe home for it whether utilizing on premise, cloud, or hybrid. We need to critically analyze our selection of providers and services when creating our infrastructure for management and development. Hybrid deployment is the most versatile option. Cloud technologies have been around for quite some time now, and our dependency upon them grow daily quickly becoming mandatory in implementation. On-premise foundations are equally important as well as traditional, if not the most secure. The cloud depends on connectivity. As connectivity becomes more widespread, accessible, and cost effective every day, the cloud becomes a more substantial methodology to utilize. Speed, access points, and bandwidth are relevant factors to consider. Servers need upgrades, abilities, and/or providers that can deliver high data streaming capability, security, analytics, collaboration, 24/7 service, and continuous backups regardless of cloud, on premise, or hybrid integration. Speed, security, and trust is essential for the system we are using. Digital transformation, increased business agility, cutting edge technologies, and advanced optimization for your enterprise is the target. The right elastic infrastructure that can keep up with access, storage, security, and analytics is the goal. Integration into one intelligent system with predictive analytics and access to numerous technologies is big science, big business, and big data. For one’s company to survive in this ever-changing market, these points are crucial for success, security, and stability. A secure location, reliable power with backup, dependable cable network, advanced industry recommended servers, limitless bandwidth/connectivity, 24/7 service, light speed data processing, and highly educated staff are all elements needed for safety and reliability of your big data. Distributed storage and cloud access worldwide should be the focus. This is essential for quality interactive analytics and actionable insights. Today there is no separation of big data and cloud technologies for deployment and must be calculated in building your structure. Every business relies on transactions and getting them processed, analyzed, and archived quickly. Immediate integration and adaptation to breakthrough technologies and innovations is essential for success in this rapidly changing industry. The correctly chosen cloud can provide the methodologies and tools integral for your business model structure today. Embedding machine learning with your business analytics will establish the insights that your company depends on for growth. The integration of block chain or task cluster services is the advancement needed for confidence, speed, security, and streamlined transactions. Removing third party services will save time, expenses, and increase customer satisfaction. Implementing block chaining will securely bridge gaps between owners, clients, customers, servers, machines, and algorithms of all transactions seamlessly. As the barriers are broken down this process is a glimpse of a reachable future that should be a consideration from the start in implementation of your plan. That connectivity will establish your Internet of Things methodologies. In developing your infrastructure, the first items to incorporate are IoT and Machine-to-machine (M2M) strategies for data deployment and access. These are integral elements for establishing your structure. IoT is its own eco-system that needs to be embraced and adapted to as an initiative for infrastructure development. Real time connectivity of machines, devices, users, clients, businesses, and processes to the back end are mandatory for improved efficiency especially with cloud integration. This inter-connection of anything with an on/off switch to one another is the wave of the future. This will lead to an automated process for maximum value of your resources. Machine learning services, applications, platforms, and tools will build your big data base and secure your foundation. The ability to create smart apps, service APIs, and embedded AI will create a safe, reliable, efficient, open, and scalable platform you can trust.